I loved this blog by Richard Chambers on the IIA website! Let’s make it an International Internal Audit Awareness Month to remember by getting out there and busting some myths! Solving the Audit Paradox through a Renaissance in Collaboration! The mind, once stretched by a new idea, never returns to its original dimensions. Why do you need to collaborate with other people? There’s only ever one reason – and that’s because you can’t get what you want on your own. If you can, then stop wasting other people’s time, stop procrastinating – and go out there and get it! How do we create mutual interest, a win-win solution and the foundation on which to build a genuinely collaborative relationship with the process owner? As an auditor, you have an extremely valuable role to play inside your organisation: offering assurance, delivering insight – and doing so with objectivity. That objectivity is guaranteed by the fact that you, as the third line of assurance, cannot ever perform the management actions required to close your control gap findings. So it’s rational that you would want to find ways to collaborate with the process owner. You may well object to this. You may believe that you have the authority (with the support of your organisation’s senior management team) to compel the process owner to close the control gaps. This nostalgic approach to audit is a can of worms for another day. But I’m sure you’d agree that most process owners would perform management actions with considerably more care, commitment and concentration if they felt they were an integral part of a collaborative decision-making process rather that being pushed. Nevertheless, I’ve been told by a great many auditors on a great many occasions that there’s a fundamental conflict of interest between auditors and the process owners which makes genuine collaboration impossible. What is this audit paradox? Auditors – Start Smiling to Stop Damaging Client Relationships! The meeting of two personalities is like the contact of two chemical substances: where there is a reaction, both are transformed. How do auditors initiate relationships with their process owners? We go to the process owner’s office for the Kick-Off Meeting and we introduce ourselves. This is not when the relationship with the process owner starts (or it had better NOT be!) – it actually starts beforehand – with the Pre-Mission Communications (the information pack sent out to the process owner to tell them what will happen during the audit mission). Not realising this fact reveals how Pre-Mission Communs are being dangerously overlooked by many audit departments. If you make that mistake, you’re taking a massive risk when it comes to both building a collaborative relationship with the process owner and making your life easier during the audit fieldwork. I’ve personally come across countless examples and stories from audit teams about how inadequate relationship building has ended up negatively impacting the results of audit missions. When you look into the reasons (through post-audit stakeholder surveys), it’s common to find the problem starts before the audit team even turned up. This needs to change – and this change needs to start with the Pre-Mission Comms. 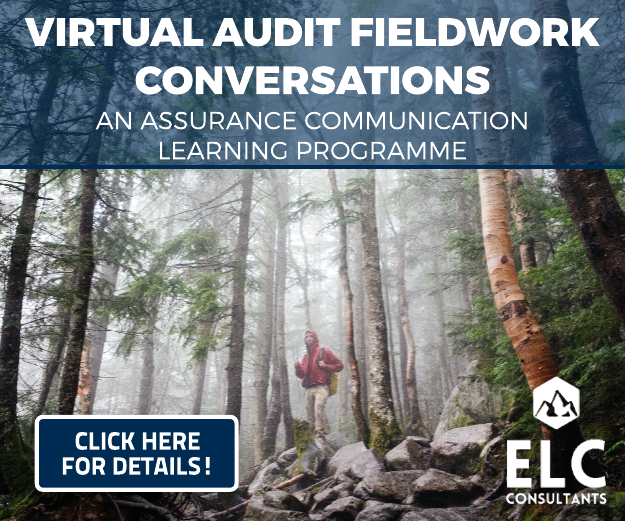 As the third line of assurance, auditors can never close the findings which they uncover – only the process owner and their team can do that. So if you can build a positive and collaborative relationship with them, it will be easier for you to get them committed to closing the control gaps. Before we get into that though, here’s a philosophical thought experiment which will help to bring this into clearer perspective. Why is it called the “Executive Summary”? As anyone who has ever written an audit report will tell you, it’s called the “Executive Summary” because this is the only section of the report the executives in your organisation will read … if you’re lucky! This high-profile attention makes writing an Executive Summary a nerve-wracking experience for many auditors. Their boss’s bosses are reading it – so they don’t want to screw it up and make a bad first impression! I believe this is the reason why a lot of the audit report Executive Summaries which we review here at ELC Consultants lack confidence. What’s worse, they often lack the urgency, impact and ‘wow’ factor required to stop a busy executive from doing what they’re doing and actually read the report. There are a lot of articles about how the Executive Summary is the most important section of any audit report and how you mustn’t waste this opportunity to show your value to your stakeholders. Nevertheless, I see very few articles offering practical advice on how to write a great Executive Summary opening. So here are some lessons from the best scriptwriters in Hollywood to offer some ideas on how to write openings to your Executive Summaries which will get your readers hooked and make them want to read on. Before we get into that though, we need to understand the mindset of your executive readers. So here’s a philosophical thought experiment which will help to bring this into clearer perspective. How Audit Reports KILL Reader-Interest from the First Sentence! The secret to being boring is to tell everything. If you were to ask most people how they would like to feel in their day-to-day lives, I’m sure that you would not find many who told you they wanted to feel bored. That includes the reader’s of the Executive Summary of your audit reports. However, the Executive Summary section of most audit reports is boring. And this is a big problem. Boredom is a feeling which we always try to avoid. When a film bores us, we change channels. When a presentation bores us, we drift off. When a person bores us, we cross the street to get away from them. If the Executive Summary of your audit report bores your readers, they will not read it. Nevertheless, I believe that there is a deeper problem here – it’s that auditors who write boring Executive Summaries don’t even realise that they’re doing this. So here’s a philosophical thought experiment which will help to bring this into clearer perspective.